Owning a pub, even a small one, is incredibly fun. Or is it? The good news is that running a bar or a pub can be less financially risky than opening a restaurant or a motel. The bad news is that if you don’t know exactly how to run a pub, you’ll lose a lot of money. If you’re not sure how to do it properly, consult the people who’re working as managers in pubs. They are usually friendly, and they are always more than happy to help. Who knows, maybe you’ll even hire some of them? A Neighborhood Pub– If you plan to attract the locals, and you’re counting on them to become your regular customers, then opening a neighborhood bar is your safest bet. A Sports Pub – Sports bars are eerily similar to neighborhood bars, but they tend to have more TVs and gaming equipment in them. A Beer Pub – Beer bars are exactly what their name suggests – pubs where people come to drink beer and beer only. They tend to have lower costs due to not offering food. 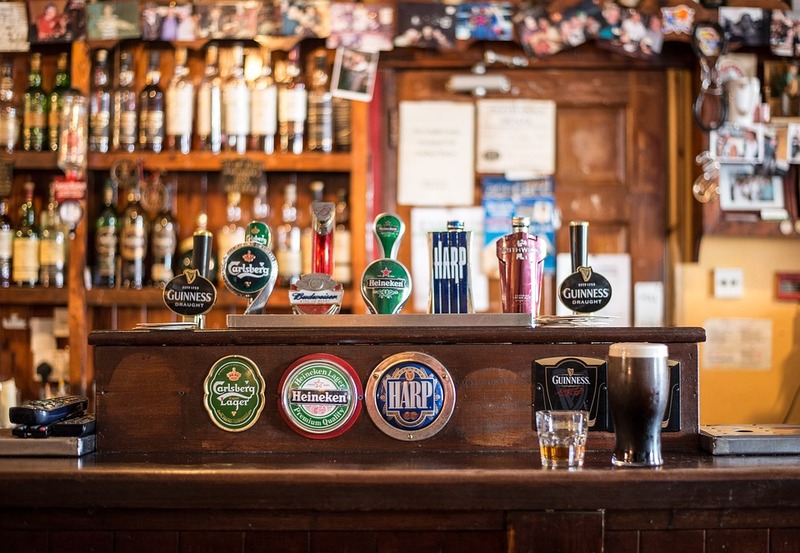 A Specialty Pub – Specialty pubs can be focused on wines, cigars, or even just one type of drink. They tend to be small, but picking the right theme for them can make them a success or destroy them before they even open their doors to the public. Making a pub from scratch is not easy by any means, so your safest bet is buying or leasing a pub that’s already well established. Leasing a pub is expensive, but owning a pub is even more costly. However, even though the cost of running a pub will be high, that pub will be yours, and you’re free to do with it whatever you want, which is incredibly important. Location, location, location. There’s nothing more important than the location. If your pub is situated in a shady part of town, no one will ever visit it, no matter how much money you’ve invested into it. Ask local real estate agents about the demographics in certain areas and do a market research before you decide to splash the cash on a pub. Make sure that your interior sets the right tone – People love being comfy, and they love being in a pub that has that friendly, neighborhood feel to it. In most cases, that means that you have to have a pub which allows your customers to enjoy the outdoors without sweating. You can do that by installing blinds. If you don’t want to invest a lot of money, simply buy a quality café blind in Sidney, install it, and see the change it brings. Hire friendly staff – Nobody wants to be served by a waiter who’s constantly cranky or angry. Make sure that you hire people who love working with customers. In the long run, this will bring you a lot of customers, and of course, money, because word-of-mouth advertising still works like a charm. Running a pub is not easy, and will never be. You’ll face super strong competition, and you’ll have to fight for every customer. It’s a very competitive market. where nothing is guaranteed. But don’t let that distract you from the fact that having your own pub is simply amazing. Beat the competition by offering your customers what they want, but don’t be afraid to be innovative from time to time.